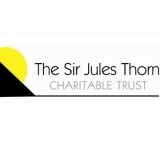 The Sir Jules Thorn Trust has again made a generous donation to Yellow Submarine's young people's residential break programme. We are hugely grateful that these breaks can continue to give our members and their families much needed time apart, to try new things, rest, and relax! THankyou once again to the Trustees for your support (Dec 2018).